"My name is Deb Hinkle and I'm the director at Uxbridge Free Public Library. know that I really appreciate everything that Sebco has offered to us. awesome company. Thanks so much again!" "Thank you so much for coming in yesterday. I really appreciate the years of service of you've given me. Most of my CCD ordering might never have happened without your help." "Sebco has an amazing selection of graphic novels! I purchased several dozen titles, and they are by far my best-circulating books. They are a big hit with fans of the genre, and they pull reluctant readers into the library on a frequent basis. The paperbacks are protected by Colibri covers, which are showing barely any signs of wear after a year of heavy usage. I am thrilled with Sebco products and services!" “By far, the best experience I had as a book buyer for a public library was with Paul MacInnis and Sebco Books. Paul's professionalism and Sebco's prompt attention to my orders made me a loyal customer!" “Meet Tom from Sebco Books. Sebco carries every publisher. Tom will come to your school and overwhelm you with the variety of books they carry or you could probably e-mail him and ask for him to bring a sampling of what you are looking for. "This was my first year using Sebco's Collection Development to analyze my collection. The Sebco Collection Development results broke down each section by Dewey classification. What I really liked was how it linked the number of Age Sensitive Titles to an actual list that I could then take to my shelf and use for weeding purposes. The Suggested Titles tab is a nice feature that provides suggested books under each classification. With just a few clicks you are adding books to your collection that you know is filling a void. I have found this to be a useful tool that makes life a little easier in the media center world." "One of the pleasures of my job as a library director is being able to go through new books to build our collection. I have personally been doing business with Sebco Books since 2005 and always look forward to looking at their new books. The main reason I enjoy this company so much is our book rep, Brian Balash. Brian is a pleasure to work with. I deal with sales people on a daily basis and Brian has proven through the years that he is patient, thoughtful and just an all-round nice young man. I sincerely look forward to his visits to our library because at this point I feel like a friend is stopping to visit. It’s so nice in this high pressure, hurry up society we live in to know there are still companies and people that will allow personalities to come out. It has been a real pleasure doing business with Sebco Books and getting to know Brian, who is one of the most kind and sincere people I have ever done business with. And as an added bonus, a short time after Brian’s visit, our library receives a shipment of beautiful books. This is a win-win situation that makes this library director a happy person." "This was my first year to hear about Sebco when I received a phone call asking if my sales rep could come visit. I went ahead and allowed him to come and placed an order. I was very pleased with everything starting with my sales rep. and how I got to put my hands on books before I made the decision to purchase them. It was also nice to get a quote before he even left my school. I was also pleased when the books arrived at my school. Thanks for having a great company. I look forward to purchasing more in the future. Thank you!" “I just want you to know that the book order is fabulous at Young School. The nonfiction companies, like ABDO Kids is wonderful with the interactive code in the back. The website responds perfectly. “As a public librarian, I receive many calls each day in regard to book purchasing. Many tactics are used to sell books but I have enjoyed the Sebco way. No company agent has ever pulled up in their jeep, unloaded several crates of books onto a carrier and wheeled them inside the library for my perusal. Sharon is an amazing book saleswoman. She comes in any weather and always has a smile. The materials she displays cover a wide range of topics, are current publications and you may purchase an entire series or only partial. Sharon, of course, encourages the entire series! She will make as many trips out to the jeep until I have all my needs filled. She adds my choices to my online account as I shop and when I am finished, Sharon has the bill available for me to review immediately. Being able to see, hold and flip through the books is an advantage. I have experienced prompt delivery and the books arrive undamaged. I receive emails from Sharon and the Sebco staff concerning my order to check for satisfaction. The online website is easy to use, make selections and categorize searches. Any online materials are immediately available on your device upon purchase. Monthly circulation reports are also found on the web (for those who require those stats). High quality materials; friendly service; available at any hour to answer questions or requests and a company consisting of people who thoroughly enjoy life... That’s the Sebco way!! "I am so glad my sales & support manager told me about Sebco’s Student Book Review Program. Although we are a very small school, we currently have two students participating. Being a part of this program has further fed their desire to read, while making them explore different genres. (It has caused these good readers to grow even further!) Not only that, but this has made them into local celebrities! Okay … not really; but, our local newspaper did run an article on each of our reviewers (kinda cool) which was fun and exciting for both of them. In addition, being a part of this program reinforces writing skills, is a self-esteem booster, and gives the students something productive to include on future college and/or scholarship applications. As the library director, I decided to go on-line to see one of their published reviews. I read quite a few of the reviews and LOVED reading about these books from a student’s perspective. From now on, the Student Reviews section will be my starting point when looking to purchase books from Sebco. What a great program!" "I just wanted to tell you how wonderful our sales manager is. She is an absolute gem and you are lucky to have her working for you. I look forward to her visits and her insightful purchase recommendations that add substance to our collection. Hope you have a wonderful holiday!" "A belated, heart-felt thanks for the beautiful books you delivered to Smith Library. I promised myself that I would write to you before I left for the holiday break. I truly appreciate your thoughtfulness and generosity. So, I hope the Christmas holiday brings you much happiness and the New Year brings continued prosperity and good will." "I just wanted to send a quick thank you to Sebco Books and to Paul for all the great titles that you offer. I've worked with Paul at two different libraries over the course of six years and he has been super. He brings in such a great variety of titles and publishers to choose from. The topics are always timely and are just what I'm looking for. Best of all, the patrons love the books and circulation increases as soon as they are added to the collection. I would highly recommend Sebco Books." 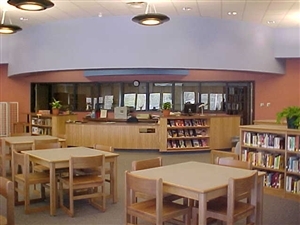 “I wanted to take a moment to thank you for the service you provided for our librarians in Evesham Township. The Book Look was such a good use of their time. They often get titles of books, but actually being able to see them, look through them, and touch them made all the difference. You were as courteous and helpful as always. We are so glad to have you back as a representative. Your customer service is unequaled by anyone else. “I finally got to look at the webinar… about eBooks. I looked at Follett’s eBook for the elementary school bundle- they asked us to make informed choices- SEBCO Flip Books beat out the one I looked at, hands down. I don’t know what I was doing wrong with Follett, but it was not clear when zoomed in and it did not load quickly. It did not have the book feel- I know it is online, but it should be clear and zooming in should not distort the page. SEBCO had more than one way to turn the page. Navigation is the key to a good product. Kudos to SEBCO!! In the Follett product, I had to move the mouse to the top of the page and click on the arrow. When the children are reading, I want them to turn the page without having to search for the “arrow.” My class had no trouble using Sebco Books. The interface worked. Not much of a learning curve. I just wanted to express my appreciation for your thoughtful phone message that I received yesterday. Your kind consideration and professionalism are very commendable. In fact, in my years of ordering books, you are probably the only representative from a publishing house that has taken the time to thank a teacher for his or her time and effort. "I am really looking forward to learning all about my new ipad2. [eSebco FREE iPad2 promotion] It is a pleasure to do business with Sebco. I enjoy purchasing from Sebco Books because they have a good selection and their customer service is excellent, very responsive to customer concerns and requests." "eBooks are a relatively new platform for our library. I hesitated to purchase ebooks in the past because of the heavy administration fees and the learning curve for ereaders. eSebco made this easier for me: a low one-time administration fee and books than can be viewed by anyone who knows how to click a mouse! I like that we “own” the material, as opposed to owning usage rights. I like the “rent” option of titles that will be outdated quickly. I can use them for a year and not have them taking up valuable shelf space. eSebco is a great resource for non-fiction “term paper research” materials, as well as interactive kids books. I am very pleased with all the ebooks I purchased from eSebco."